Did you know that Turpin Meadow Ranch features an Olympian-designed Nordic ski track that stretches over 20km? The trails are popular with locals, who often stop by for an afternoon of skiing and stay into the evening for world-class dining and cocktails at the newly renovated historic lodge. Even better – there are 10 other tracks minutes away where locals go to explore the refreshing winter wilderness of Jackson Hole. Ranging in length from five miles to 14, it is easy to hit the trails and get a taste of what it means to be a true Jackson Hole local. 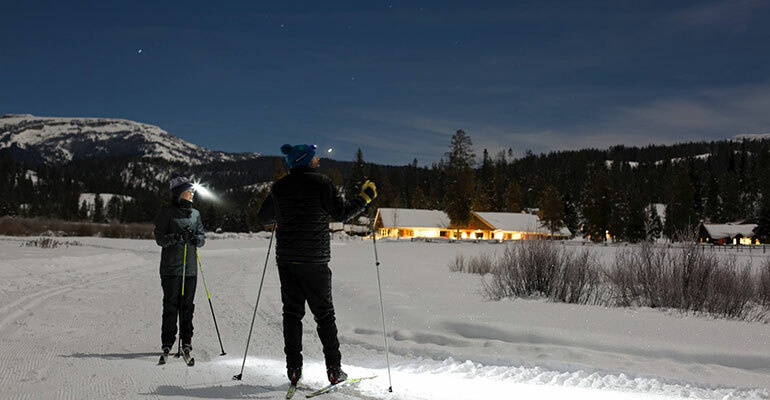 Want to explore the Nordic skiing around Turpin Meadow Ranch? Use this interactive map from JH Nordic to find exactly what you’re looking for in your adventure.